We have stayed at Spirit Haven numerous times. We prefer privacy over amenities. Spirit Haven meets our needs. The location is perfect and the deck is wonderful. Stoney Point was better than we could have ever expected. It was cozy, comfortable and really felt like home. The location was AMAZING. The yard was perfect for our dogs, and the shoreline being right there was breathtaking. One thing that initially attracted us to the property was the private wooded lot it was advertised on, which did not disapoint! I wouldn't change a thing, and cannot wait to return! The cabin and location were great! Close to Grand Marais but far enough off the road that you couldn't hear the traffic. The cabin had everything that we needed. Kitchen was well stocked with dishes, pans and lots of miscellaneous utensils. The cabin was very comfortable. 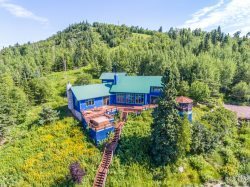 Review for Namaste Main House: We brought along a relative from Southern California with the intention of showing off the beauty of our Minnesota North Shore. We stayed at Namaste - Main and have absolutely no complaints - beautiful property, landscaped so nicely and as an avid gardener myself, I appreciate the though that went into the surroundings. The home's amenities were perfect as we did not eat out at all in the 3 nights, 4 days that we visited and I was able to cook some really nice meals without having to improvise. Next time we are hoping to stay longer. We would most definitely rent this property again! Great location, very nice place. From Arrival on Friday afternoon to Departure on Sunday morning, we both agreed that we loved our time at 1621 Manor in Duluth. The rental was fresh and clean, and in spite of it's lustred age, did not come off as musty or old, but more polished and regal. We visited the Glensheen Mansion, took the tour, and felt we were in similar 'craftsman' territory at 1621. Furnishings to finishes, it was a delight to spend time there, although there is much to see and do in Duluth. Special home details were extensive wood trim, punctuated built-ins, grand windowing, and that porch off the main BR was captivating. Wish we could have been there for a week. The second BR, where we stayed, was not fully privatized with a door, but more a heavy curtain to the LR, did not present a problem as we were the only occupants. The space was very roomy, the dining room a delight, and the LR as plush as the Glensheen Billiards Room. All in all, a 9.5 out of 10 from us! The home was nice and clean! The layout of the cabin was wonderful and the view was amazing! We can't wait to go back!